Bestselling authors often prefer self-publishing, because they enjoy more control, flexibility and profits from their books. I was on a recent flight to Phoenix for my niece's graduation. When I walked on the plane, I had a hard time finding seats. I finally found an open middle seat, and as I prepared to sit down, I recognized the man in the aisle seat. "Oh my gosh!" I said, "I've interviewed you!" I didn't want to shout his name to the entire plane load of people. I had interviewed him for a magazine many years ago. He smiled and turned to the woman in the window seat, saying, "This is my wife--"
"Kim! It's so nice to meet you!" I said, extending my hand. After putting away my bag, I plopped down between Kim and Robert Kiyosaki. "I feel like I'm sitting between Rich Mom and Rich Dad!" I proclaimed. 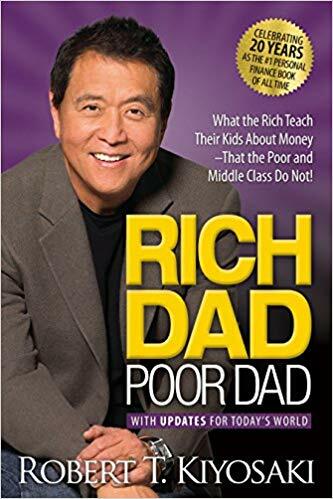 Robert Kiyosaki is author of the blockbuster, Rich Dad, Poor Dad, and Kim Kiyosaki wrote the bestselling, Rich Woman. Together, they run billion-dollar businesses. I chatted with them for the entire one-hour-and-10-minute flight. With Kim, I chatted about meditation, non-GMO foods, the price of gold, presidential candidates and the next subprime crisis. I also thanked her for being a soul who has brought so much joy and wisdom to the world. With Robert, I chatted about the courses I had done with him, his products in Hawaii when I was growing up, and the TED talk he'd just given in San Diego. I thanked him for teaching me many principles that I use in my business today. I particularly thanked him for one of the biggest business principles, which he role modeled. His eyebrows lifted, as he waited for me to tell him what it was. "Tithing," I said. "I practice tithing in my business." He smiled broadly and his eyes lit up. 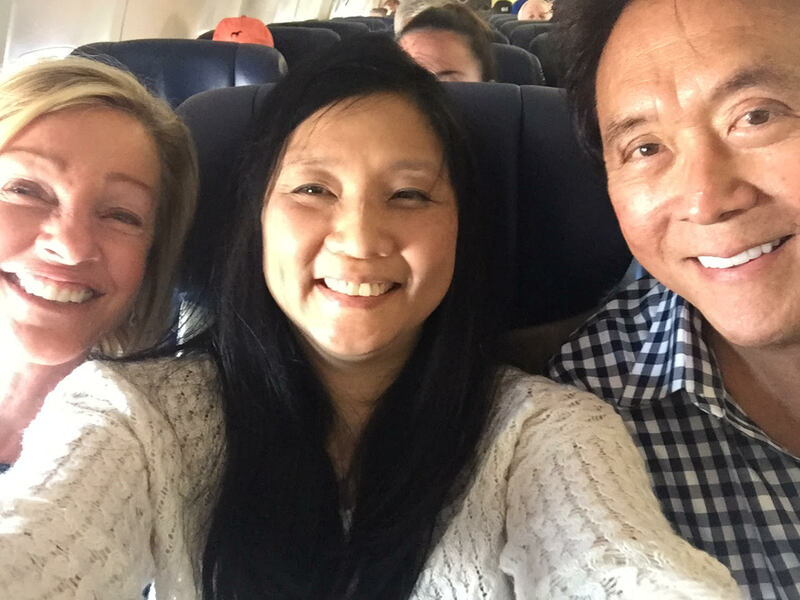 At the end of the flight, Robert and Kim graciously agreed to take a selfie with me. Robert's bestselling Rich Dad, Poor Dad is a classic. However, most people don't know that the book was originally self-published, and he sold copies to Amway, a network marketing group, before it was picked up by a traditional publisher. In fact, many of Kiyosaki's books today are still self-published. For many entrepreneurs and thought leaders such as Robert Kiyosaki, self-publishing (also called independent publishing) is preferred. It gives them more control, flexibility and profits from their books. For such entrepreneurs, the publishing company is not their brand. They are their brand. In my business, I am so grateful to work with visionary entrepreneurs. People like you. 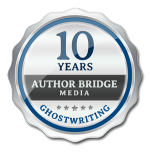 Whether you want to publish your book with a traditional publisher, hybrid publisher, or your own publishing arm, we can help you. We have assisted authors to write book proposals for traditional publishers, as well as self-publish on Kindle, Amazon's CreateSpace, and Audible. If you would like to talk about your book or publishing plans, click here to apply for a free Author Breakthrough Session with our Author Consultant. Read more about "Get it Published"
Return to the top of "Flying Coach with Robert Kiyosaki of Rich Dad, Poor Dad"